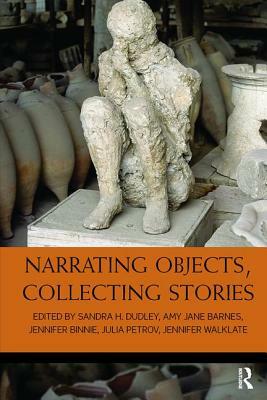 Narrating Objects, Collecting Stories is a wide-ranging collection of essays exploring the stories that can be told by and about objects and those who choose to collect them. Examining objects and collecting in different historical, social and institutional contexts, an international, interdisciplinary group of authors consider the meanings and values with which objects are imputed and the processes and implications of collecting. This includes considering the entanglement of objects and collectors in webs of social relations, value and change, object biographies and the sometimes conflicting stories that things come to represent, and the strategies used to reconstruct and retell the narratives of objects. The book includes considerations of individual and groups of objects, such as domestic interiors, novelty tea-pots, Scottish stone monuments, African ironworking, a postcolonial painting and memorials to those killed on the roads in Australia. It also contains chapters dealing with particular collectors - including Charles Bell and Beatrix Potter - and representational techniques. Sandra Dudley is Senior Lecturer in the School of Museum Studies, University of Leicester. Recent books include Materialising Exile: material culture and embodied experience among Karenni refugees in Thailand (Berghahn 2010) and Museum Materialities (ed., Routledge 2010). Amy Jane Barnes has recently completed doctoral research on the collection, interpretation and display of visual culture of the Chinese Cultural Revolution in contemporary British museums (University of Leicester 2009). Jennifer Binnie is currently a PhD student at the University of Leicester, looking at the impact which art within museums and galleries may have upon wellbeing. Julia Petrov is a PhD student in the School of Museum Studies, University of Leicester. Her project traces the development of dress exhibitions in museums in England and North America over the twentieth century. Jennifer Walklate is a PhD student in the School of Museum Studies, University of Leicester. Her AHRC funded research explores and compares the production of temporal experiences in museums and works of literature.